Struggling with getting your children to do chores without nagging or complaining? Learn what to do when your kids refuse to do chores. Remember when kids couldn’t wait to clean up? When they demanded, “Me do it!” to brush their teeth or put dishes in the sink? Now though, not only do they not want to do chores, they’re outright refusing them. An SSBE reader asked me about getting her kids to do chores. The nagging, pleading, even the punishments weren’t working. It reached the point where they didn’t listen and ignored any request to do chores. What can parents like our fellow mom do when their kids refuse to do chores? Praising your kids when they do chores works far better than correcting the times when they don’t. You might think it’s impossible to praise them because they don’t do any chores. I had, after all, finished describing kids who outright ignore your requests. It shows your kids you’re on the same side. No one, kids included, wants to hear reprimands all day long. It doesn’t feel good to have someone nag or remind us of our mistakes. Keep the tone friendly and matter-of-fact and the better your kids’ attitudes will be. 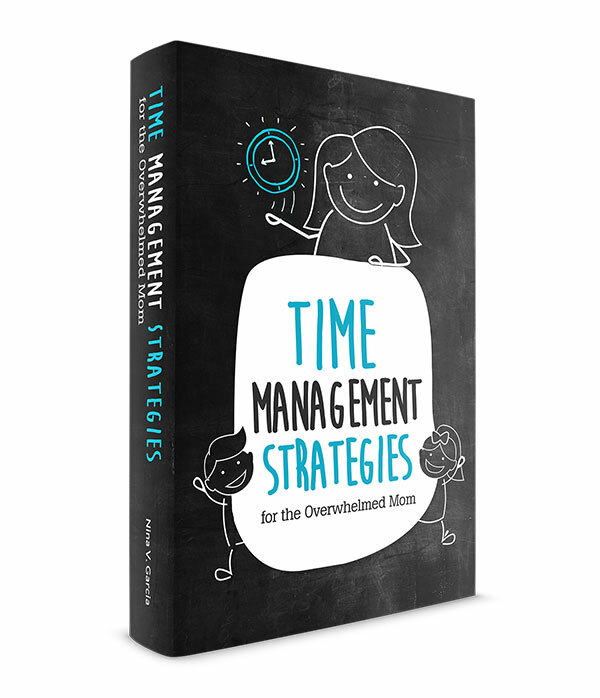 Read more about how to stop nagging kids to get things done. It’s clean up time at your house. You’re telling your toddler to put the cars away and your seven-year-old to clean up his puzzle, all while not pitching in yourself. It’s tempting to separate chores according to whoever made the mess. After all, it’s their cars and puzzle pieces to clean up. You might even think this teaches them accountability or responsibility. Except this division of labor leaves out a key component in family life: team effort. See whether you’re framing chores as something only they must do. 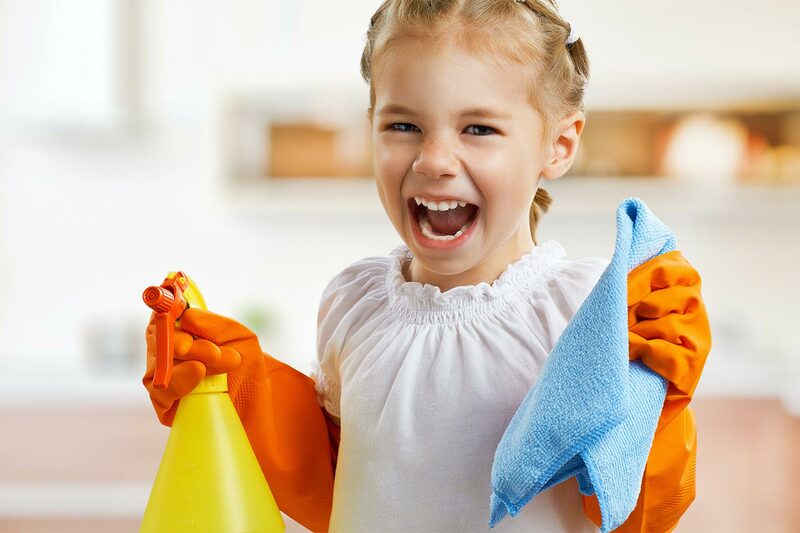 You cook, clean, drive and otherwise do the majority of the housework, but kids are more receptive to doing chores if they see it as a team effort. Focus on everyone pitching in to get the job done. Everyone—even mom and dad—does their fair share to keep the household humming along. Your kids will take to chores more if they feel like you’re working together as a family unit. I won’t dump my son’s laundry and expect him to finish the whole pile (at least, not yet!). Instead, I hang his clothes right alongside him. And make it fun! You don’t need to make chore time a downer. Play a “clean up time” song. Make it a game to see how many surfaces they can find to wipe. Dance while you hang and fold laundry. Chores don’t always have to be a drag. Read the benefits of giving kids responsibilities. Kids respond well to reason, rather than “because I said so.” When I follow a request with the reason, my kids are more likely to listen. You might tell them to clean up their blocks so they know where to find them the next day. You also need to hold them accountable for certain behaviors. If they don’t clean up, tell them they must not ready to take care of their blocks then, so you’ll have to put them away until tomorrow. Tie in the consequences to their actions (or their lack of actions). Then, follow through with consequences. Don’t say you’ll put away the blocks with no intention of doing so. Empty threats might work the first or second time, but after a while, your kids will catch on. Instead, follow through with your actions, no matter how difficult. Even if they whine or throw an epic meltdown. They need to know you keep your word, not only with consequences but with anything you say you’ll do. And throughout the conversation, keep your tone matter-of-fact. No one wants to be talked down to, or scolded. You don’t want to seem like the Big Bad Mom doling out punishments. Instead, you’re stating facts, not abusing your authority. With less power conflicts, your kids will tie their actions to consequences and not because mom said so. 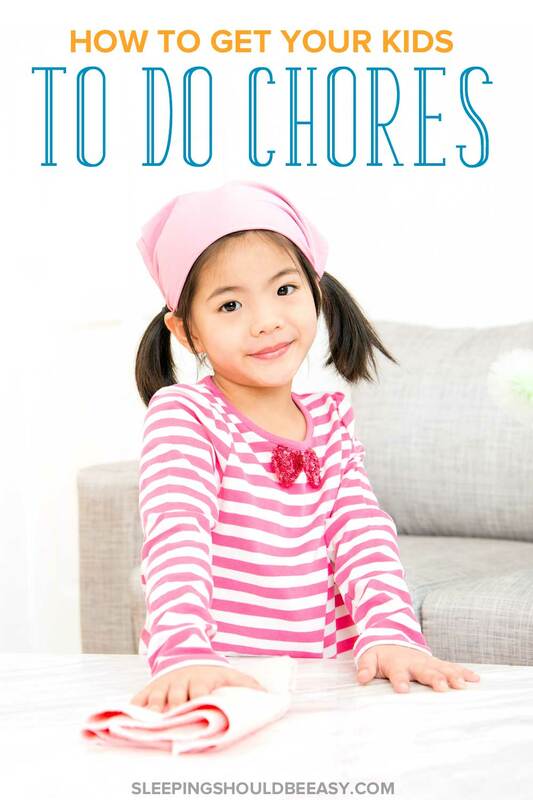 Learn how to get kids to do chores without nagging or reminding. 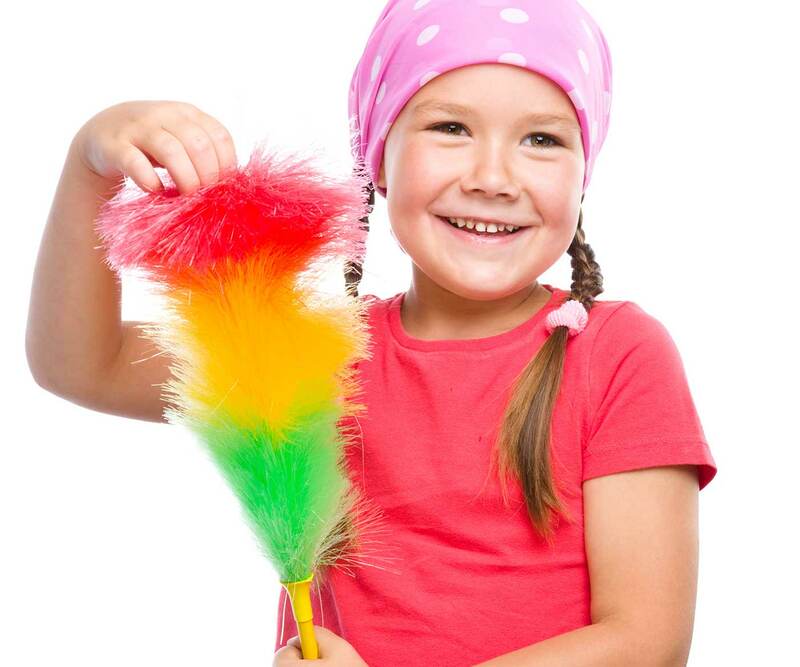 Many parents resort to rewards or bribes to convince their kids to do chores. And, like empty threats, it works in the short-term. 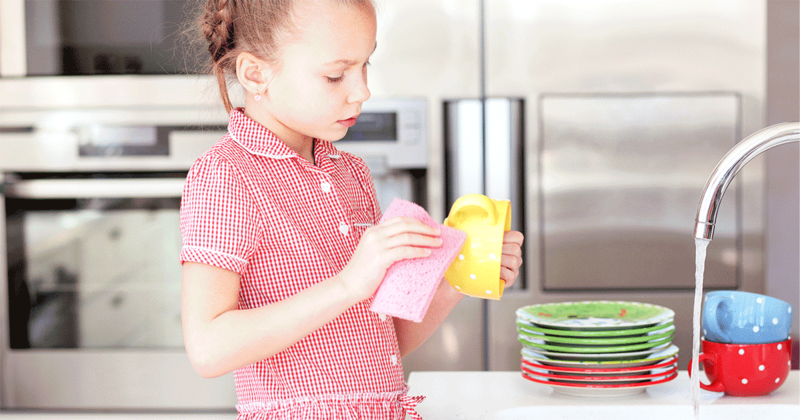 Kids find motivation to do chores when they know a reward awaits them. Bribes and your standard rewards are external. They don’t tap into the internal reward we feel when we do a good job—the pride you feel whether anyone was there to witness it or not. You want to encourage this inner drive, or intrinsic rewards, to motivate your kids to action. With typical rewards, your kids will expect something material in return every time. Once they’ve had a taste of one reward, you’re faced with upping the ante each time. The pizzazz of that first reward won’t convince your kids to do the same chores for the same rewards again. Offering rewards also tends to produce poor quality. Without intrinsic rewards driving their actions, your kids aren’t focused on the work itself. They want the end result in the quickest, least painful way possible. You might end up with shoddy work because they wanted to check it off their list. And finally, rewards and bribes focus on the reward. You don’t want your kids to be so focused on the reward they’ll do anything to get there by any means necessary. Instead, focus on other values, such as effort, a job well done, and pitching in to help the family. Learn what to do when your child doesn’t finish tasks. Kids should pitch in around the house, so to see them doing otherwise is frustrating. Chores for kids shouldn’t be a request. Treat doing chores as something they have to do, like brushing teeth and eating dinner. And as you’ve hopefully seen, it doesn’t always have to be a struggle to get kids to do chores. Praise them for good behavior you see, no matter how tiny. Focus on the team effort and contributing to the family. Explain why chores are important and follow through with consequences. And avoid bribes and rewards as a way to get kids to do chores. Focus instead on other values like doing a job well done and helping others. At some point, all kids will refuse to do chores—they’ll stop saying “Me do it!” like they did as toddlers. But how we respond and encourage them otherwise can make all the difference. Still struggling with getting your kids to do their chores? Want to develop good habits from the start? 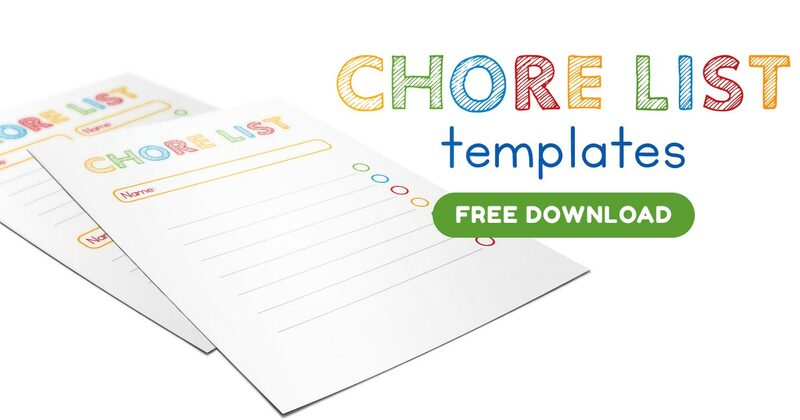 Download my Printable Chore List templates to help you and your kids organize chores! Tell me in the comments: What do you do when your kids refuse to do chores? I recently made a printable chores list and it works nicely. My kids love the visual aspect. I think making it a team effort is so important here! Printable chores can be very helpful to kids who need that visual guidance, for sure! I’ve been doing this exact thing with my kids lately! Sometimes I find myself harping on what they do wrong, but they always do so much better when we focus on doing what’s right. I do struggle with not offering rewards and stuff though. Sometimes it feels like the only thing that will push them into action! Ugh, chores. Thankfully, at nearly 7 years old, our oldest still doesn’t mind helping out a bit here and there. I’ve always reminded her that if she loses something, the best way to find it is to pick up. She’s also responsible for putting way her own laundry, and recently started folding family laundry (getting one of those shirt folding gadgets made it more of a game for her…totally worth $15). I definitely agree that it can be disheartening to anyone if they are told to do something but only see everyone else lying around. Yup Leslie, I tell my kids too when they lose things it’s because they didn’t put it back. It seems to sink in when they see the results of their mess 😉 That’s awesome she’s already putting away all her laundry. My kiddo still likes me to help him out. I know exactly what that shirt folding gadget you’re talking about too. I think it’s what retail stores use. My kids are 10, 9, 5, and 8 mo. My 10 and 9 yr old will do anything I ask but with sighs and groans and the job is shoddy at best. They spend more time trying to hide that they didn’t clean than the time it would take to really clean. I’m at the point of throwing in the towel. I’m a stay at home mom and I do housework and cook all day long. All my kids want to do is read and draw…preferably in their messy rooms. My 5 yr old is a willing worker right now but I’m afraid he will see that his siblings get out of work by lying about it or saying they forgot. Chore charts don’t work because they don’t read them. If I post reminders in the bathroom or bedroom they tear them down and claim “nobody did it”. I praise and thank when they do a tiny bit of help. But it makes no difference. I’m raising selfish, untidy humans and don’t know how to help them! First, make clean up a part of your routine, and explain it to your kids. For instance, cleaning their rooms can happen right before bath time, or before they watch a television show, preferably at the same time every day. That way, over time, it becomes almost automatic. A routine can also include their drawing and reading which, if you think about it, are actually fantastic habits. Many parents wish they could get their kids to focus on reading and drawing, so it’s a good thing your kids are doing it. It’s just a matter of incorporating it into your routine. Think of it as there is a time and place for everything, and a routine helps make that happen. This will also help with timing the chores. For instance, there’s a chance parents tell kids to clean up right when they were in the middle of reading or playing. It’s pretty hard to break that concentration—even adults would hate to be interrupted. But with a routine, they can transition into “chore mode” hopefully long before or after they’re so heavily focused on another task. And a lot of it is also avoiding some of the traps we set ourselves up for, such as nagging or redoing their work (or doing it completely for them). Instead of nagging, encourage responsibility. Don’t redo their work, even if they don’t do a perfect job. Like we mentioned, you don’t want to save them from doing a bad job, and more importantly, redoing their work undermines the effort, however big or small, they put into it. It doesn’t feel good to do something only to notice that someone else redid all the work we did. At that point, they might even wonder, What’s the point? Another idea is to enforce consequences when they don’t do their chores or do them haphazardly. For instance, let’s say you asked them to clean their room, but they sort of just stuffed everything into boxes or under their beds. One consequence could be that, if they turn to you to find something, explain how their shoddy work is he reason why they can’t find it. Don’t “save” them from the consequences of not doing their chores well. 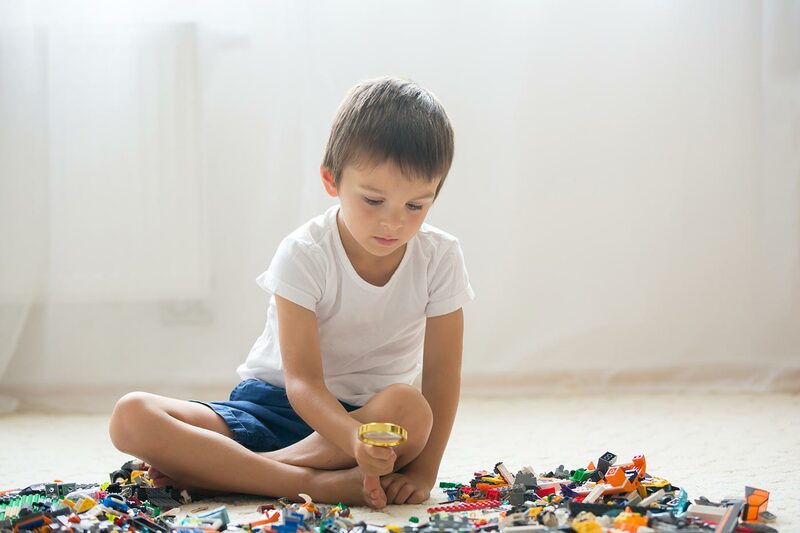 If not doing them well means they can’t find their favorite toy or gadget, then allow them to experience that rather than find the toy for them. Lastly, if you have consequences to not doing chores, you need to enforce them. That means giving realistic consequences like no television if they don’t clean, not missing out on a school party that you weren’t planning on REALLY enforcing. It’s not so much about being “mean,” but putting our foot down and establishing the boundaries that our kids actually need and even crave. Sometimes the best thing our kids need from us is for us to hold our ground.